Ukko-Pekka Luukkonen has been number one goalie for Finland for the second year in a row. Last year’s tournament was pretty tough for him, but his performances against Sweden and Slovakia have been solid. He allowed only one goal against Slovakia and made 22 saves and there wasn’t any chance to stop the Slovakia’s sole goal of the game. Luukkonen is a big goalie with really quick movement. He has quick feet, he goes post to post quickly, cuts the angles really well and his overall athleticism seems to be in a good level. He is much calmer at the net compared to last year’s performance and he doesn’t overplay situations as much anymore, instead he relies on his positioning and that has helped him a lot. The goalie wants to participate the play with the puck, but he made couple of poor decisions with the puck causing couple of dangerous situations due to his sloppy play. However his puck-handling skills also helped the defence couple of times with his solid passes. At this stage it seems that Finland can rely on Luukkonen even in tougher games and he has been able to step up with his game. 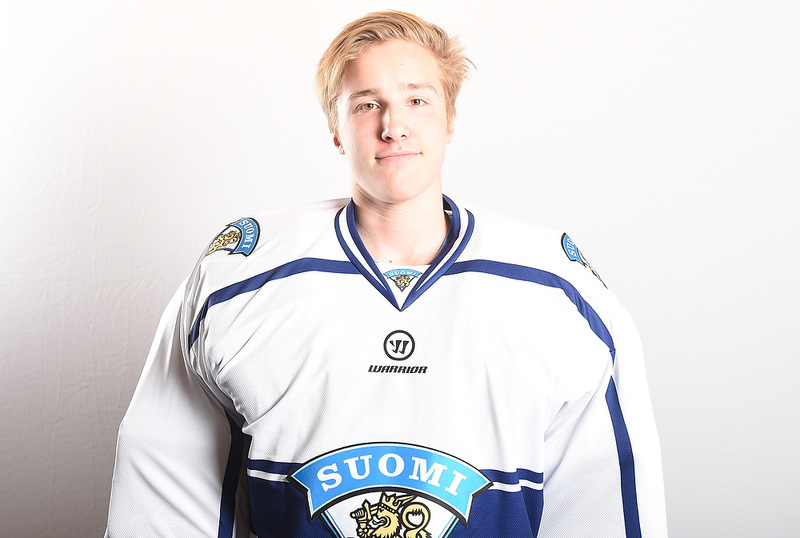 Luukkonen has been clear cut number one goalie for Finland and he has played all the games so far in the tournament. Against Slovakia he made 24 saves and allowed two goals. While he hasn’t been as secure as Finns would have hoped, he has shown good qualities in the tournament. He has quick feet, makes sharp pad saves and moves quickly laterally. Luukkonen is a big goalie and because he cuts the angles well, it is hard to find open space from the net. However he has overplayed surprisingly many situations in this tournament and one of these situations helped Slovakia to make one goal against Finland. He could improve his rebound control and his play with glove still needs refining. Luukkonen has continued to improve his puck handling skills and he often takes part of the game and gives solid passes. Luukkonen still needs a lot of development but his skill set as well as great mental capabilities makes him really promising goaltender. Luukkonen was on goal when his team won decisive game against Ässät and became Finnish U20 league champion. He allowed only one goal, got 29 saves and even stopped breakaway in overtime on the last game of the series. Luukkonen is a big goalie who is calm and trusts on his excellent positioning. You rarely see him out of position and that’s why he doesn’t need to make highlight saves often. That doesn’t mean that he wouldn’t have a good technique. On the contrary, he moves very well, catches the pucks efficiently and has really good rebound control. However his stickhandling skills are not on the level you’d like to see from modern goalie. But because Luukkonen is not only big goalie with good technique but also athletic and he has quick reflexes, he seems to be the most interesting Finnish goalie prospects in recent years. Luukkonen showed solid lateral quickness and quick hands. At 6’4, he covered a ton of the net, but he also had very good skills. He read the play well and he was patient in the crease. His movements were fluid. The goalie has plenty of potential and is without doubt one of the top prospects in the Finnish U20 league this season.